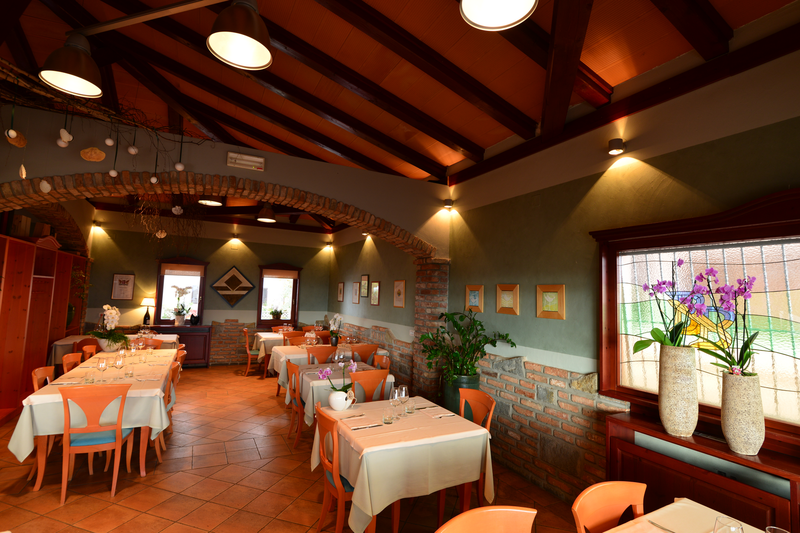 Our restaurant is located in a village called Plešivo, next to the border with Italy. There is room for about 40 people. 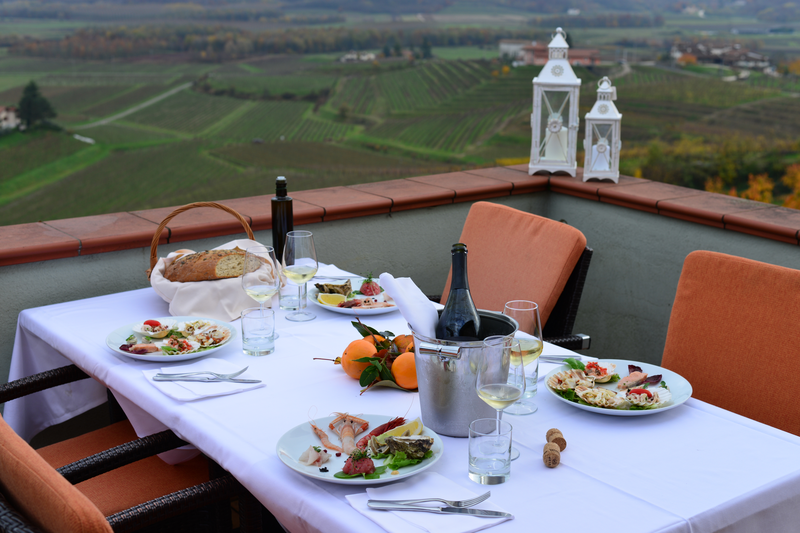 In nice weather, our guests can enjoy our dishes and a glass of house wine or sparkling wine Karlo on the terrace. 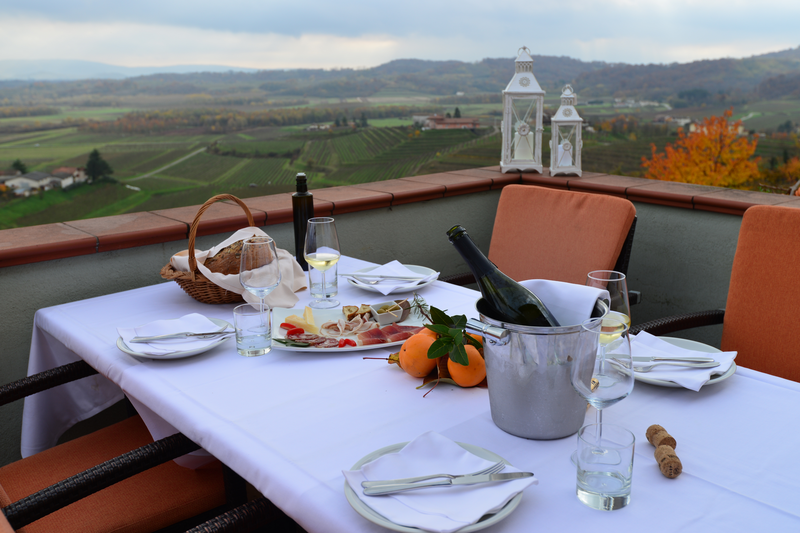 On particularly sunny days, the view stretches far around the Slovenian and Italian landscape called Brda. We offer fresh seafood, therefore most of our plates are tied to the supply of fresh ingredients, which we thoughtfully pick ourselves daily as we have committed ourselves to making the dishes simple yet perfect. 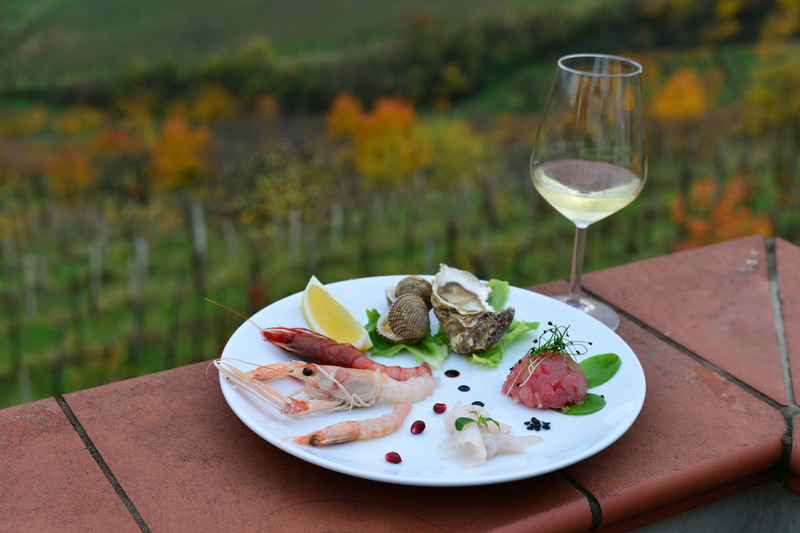 Because of these ingredients, which are the best the sea has to offer, we serve a wide range of fish carpaccio as cold starters, from sea brass to shrimp, all exclusively from Adriatic sea. Warm starters include a wide variety of seashells, from capesante to cockles and scallops. 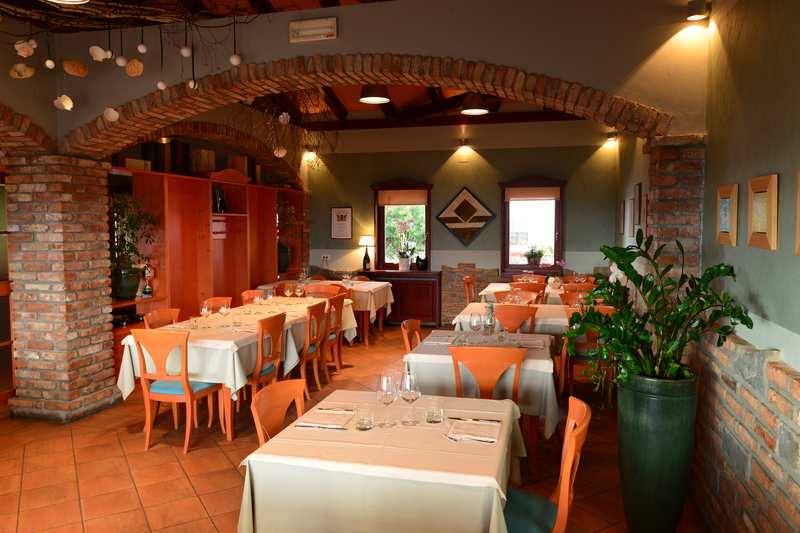 Main dishes are mostly fish prepared in different ways, from gilt-head bream, sea brass, Peter’s fish, red scorpionfish to calamari and sweet shrimps. Of course the fact that we are a fish restaurant does not mean you will finish your lunch or dinner without dessert. You can order homemade vanilla ice cream with chocolate or forest fruit topping, on the weekends we make our own kremšnite. Chocolate lovers are also taken care of as we make our own chocolate soufflé. 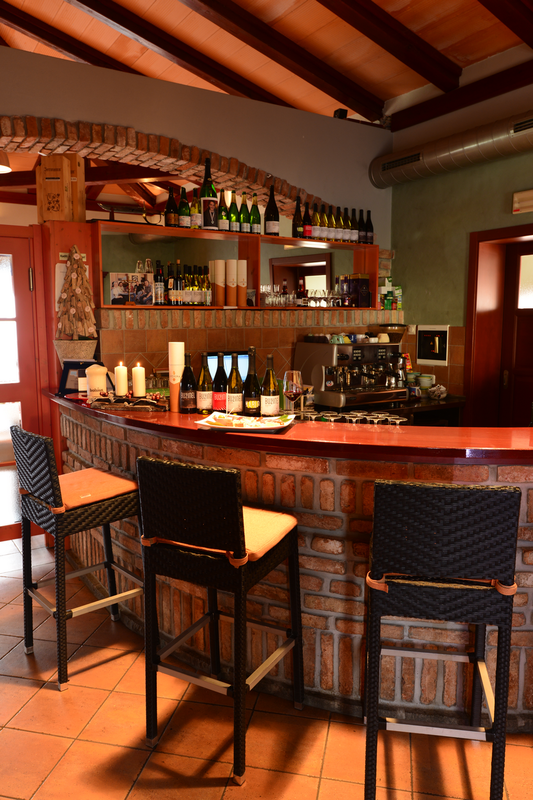 As we like to emphasize, our offers stand solely on fresh ingredients, which is why our list of offered dishes is not always the same.